In another sign that Intel’s business remains heavily tied to the PC market despite its efforts to push into mobile devices, the chipmaker cut its revenue forecast for the first quarter by almost $1 billion, blaming the expected shortfall on a weak PC market and on “challenging” macroeconomic and currency conditions. In particular, Intel singled out small businesses, saying they haven’t been replacing their Windows XP computers as quickly as previously expected. Like moths to a flame, it seems like all the hottest tech companies are being drawn to the automobile business. Now Chinese e-commerce giant Alibaba is teaming with compatriot SAIC Motor to set up a $160 million fund to develop Internet-connected cars, the Wall Street Journal reports. Alibaba doesn’t yet seem to have ambitions as grandiose as some, like Apple, are rumored to have: It’s not in it to make cars, but rather to develop services. The U.S. Senate Intelligence Committee voted in secret to approve a controversial bill that encourage businesses to share information about cyberthreats with each other and with government agencies. The 14-1 vote late Thursday sends the Cybersecurity Information Sharing Act [CISA] to a vote by the Senate—but with amendments that have not yet been made public. A large coalition of privacy advocates had objected to an earlier draft of the bill. Once considered a lost cause in the tablet market, Windows is going to start eating into market share now held by iOS and Android, says IDC. For 2014 the split was roughly 67 percent Android, 28 percent iOS and 5 percent for Microsoft’s Windows. But by 2019, Windows will rise to about 14 percent market share, Android will drop about 4 points and iOS will drop nearly 5 points. Tablet shipments overall are slowing, IDC said. 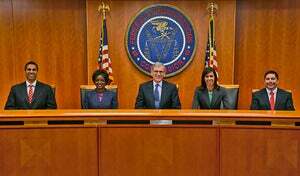 Two weeks after voting on the issue, the U.S. Federal Communications Commission has released its net neutrality order. It’s notable for how much of its considerable length is defensive argument. While the actual change in regulations reclassifying broadband as a regulated telecommunications service amounts to eight pages, the order is 400 pages, including long sections of legal and historical justification. Sure enough, conservative lawmakers and representatives of large cable companies fired off criticism literally minutes after the expected FCC order was out. Expect legal challenges to play out for a long time to come. 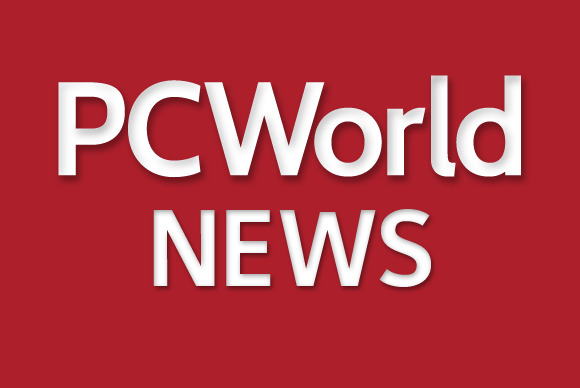 The Superfish adware that Lenovo unwittingly unleashed via bloatware preinstalled on its PCs is being effectively neutralized through collective work by vendors, Computerworld reports. At the height of the problem, Microsoft says, its security software was encountering about 60,000 infected computers each day, but now that number has fallen to fewer than 1,000 per day. For the past two years, cybercriminals have successfully extorted money from many users and companies by encrypting their photos, documents, business records and other sensitive files. They’re now looking to expand their pool of potential victims by targeting gamers—young adults who are otherwise unlikely to have many important documents on their computers and who store their photos on online services. A new ransomware threat discovered recently encrypts over 50 types of files associated with popular games, including game saves, profiles, maps, mods, replays and other custom user-generated content. Noted security blogger Brian Krebs says that another wrinkle to the fraud problem with Apple Pay is that it lets thieves use stolen payment card data that previously only worked for online fraud, in brick-and-mortar stores. The blame for the problem seems to fall on banks that haven’t adequately vetted Apple Pay accounts. They weren’t just kidding, exactly, but it turns out that Obama Administration officials who raised critical questions about strong encryption never meant to quash efforts to develop such technology: They just meant to stir debate. The issue is that law enforcement may find it impossible to hack devices using the latest encryption techniques. But in a speech Thursday, White House cybersecurity coordinator Michael Daniel assured the audience that there is “no scenario” in which the U.S. government wants weaker encryption. On World Tech Update this week Apple details its Apple Watch and debuts a new, thin Macbook, Sony plans to shut down PlayStation mobile and NASA tests a rocket booster that will send humans to Mars. Will techies ever tire of tidbits about Steve Jobs? Cult of Mac has some snippets from a forthcoming biography—including that Tim Cook offered the boss his liver.